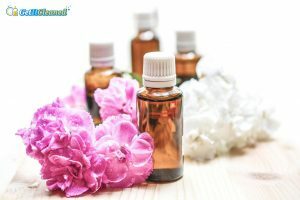 Essential oils are very popular today and people are using them for good mood, for better-smelling home, to strengthen the immune system and others. But there is another efficient usage of essential oils that might surprise you: they can be used as natural cleaners in your home. Instead of using commercial cleaning products that contain harsh chemicals, you can use proven homemade solutions and still achieve amazing results. Essential oils will do a great job cleaning around the house and make your home smell great as well. We bring you few simple essential oil recipes that will help you clean with ease. These cleaning solutions will make your house sparkling in no time. Mix them in an empty spray bottle and shake well before use. Lemon oils will dissolve even the stickiest residue on glass surfaces. Windows will be sparkles and smell fresh and nice. If you don’t have time to clean your windows or they are hard to reach, you can hire a leading window cleaning in London and rely on their top quality window cleaning services. Lemon oil can also be used for removing burnt food from pots and pans. All you have to do is mix a few drops of lemon oil with boiling water and see the magic as the persistent stains disappear. Or, just add a few drops into your dishwasher and you will get amazing results. You don’t have to spend a fortune on commercial sprays to add some freshness to your linens. You can make your own natural linen spray using your favourite essential oils. Mix 20 drops of lavender oil, for example, with water and rubbing alcohol and your recipe will work like a charm. Put the ingredients into an empty spray bottle and shake well. Spray the toilet bowl and leave for a few minutes. Scrub it a bit and that’s it! The toilet and other surfaces you clean with this solution will be spotless and smell amazing. Additionally, you can use essential oils for your dryer and add them to wool dryer balls. The fresh fragrance of your favourite essential oil on the clothes coming from a dryer is something special, right? Mix white vinegar (1/4), castile soap (8tbsp) and 25 drops of essential oil (lemon, grapefruit or orange) and you have a perfect recipe for transforming your floors from dull and grimy to gleaming, gorgeous and clean.